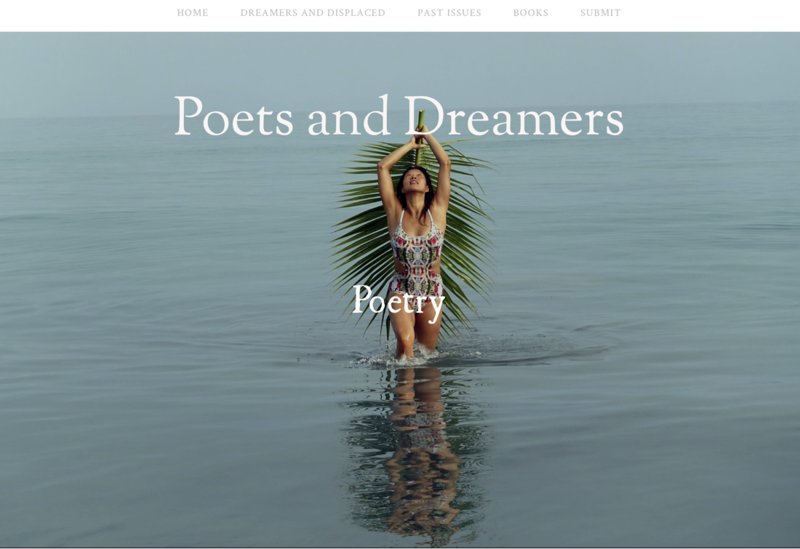 My poem, The Labor of a Dream, was published in Poets & Dreamers, an online literary magazine. This was written on Labor Day 2017 as the government deliberated over the fate of DACA (Deferred Action for Childhood Arrivals). If ended, 800,000 registered undocumented immigrants stand to be deported. It is an honor that my essay, The Poison Beneath Our Feet, was published alongside some of the great Latina thinkers in the US. 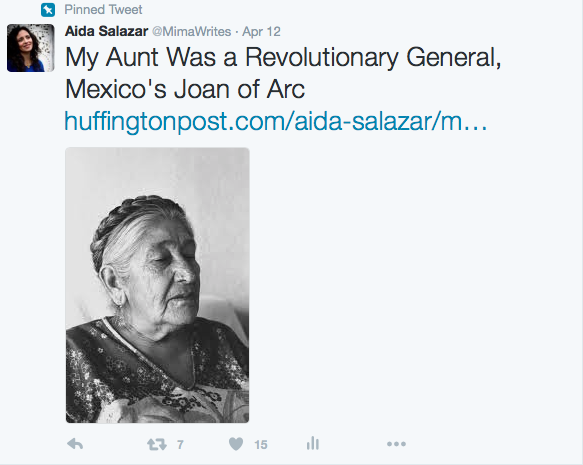 Here, a review of my piece in Huizache in the Los Angeles Review of Books by Alci Rengifo. "Salazar, by telling a story about a Mexican tradition, produces a narrative with universal force, because pain and memory belong to everyone." 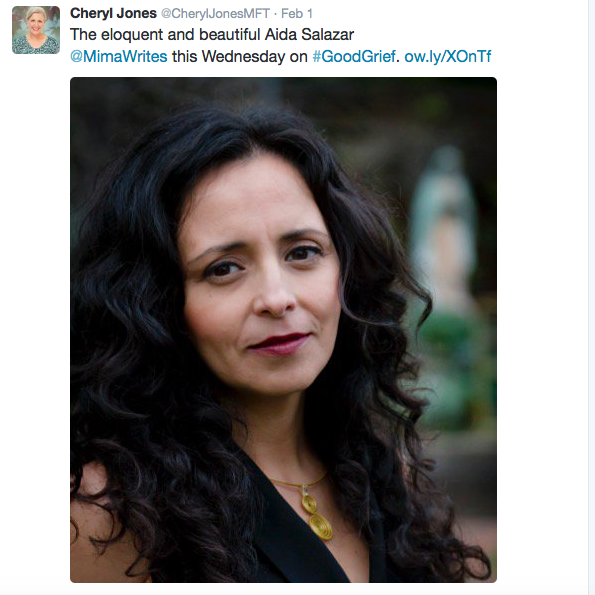 A conversation about my story and memoir in progress on Good Grief Radio Show hosted by Cheryl Jones. Manantial- donde nace el agua where water is born. The Japanese character for listen is written with the characters for soul, body and mind. A message I heard birthed from the mountains of southeast Mexico, spoken in the same tongue my mother speaks and different from those in which I write. In my process of exploring a creative consciousness I have begun to learn to listen. I search for a fluid and modular space that does not distinguish the mind-body-spirit as individual categories, commonly understood in Western notions of human existence and functioning. To listen is a simultaneous performing of all of my sensual and mental faculties (hear, see, smell, speak, taste, think) which includes the use of my (often forgotten and dismissed) metaphysical sense (know). To listen then is to enter into the psychic terrain, a new consciousness, where the voices of my ancestors speak, where the wisdom of the lives I’ve lived inhabit, where my many and often contradictory realities collide and converge, where the “whos” of who I am name, feed, destroy and recreate me at once, so that I may be free to write. When I listen I depend on movement, a necessary fluidity, that questions the words and forces that define me, examines the dualistic barriers that incarcerate and suffocate me. This is when I can write for me and those like me who carry our uncertain identities on our shoulders-- the uninvited guest, an outsider even inside ourselves and our apparent communities. I must never stay still, for to stay still means to become rigid, cold, dead. My writing must do as leeching does, become a healing tool, one that bleeds the dichotomous definitions into a pool of multiple realities. Listening, I am nourished by the continual flow of blood.